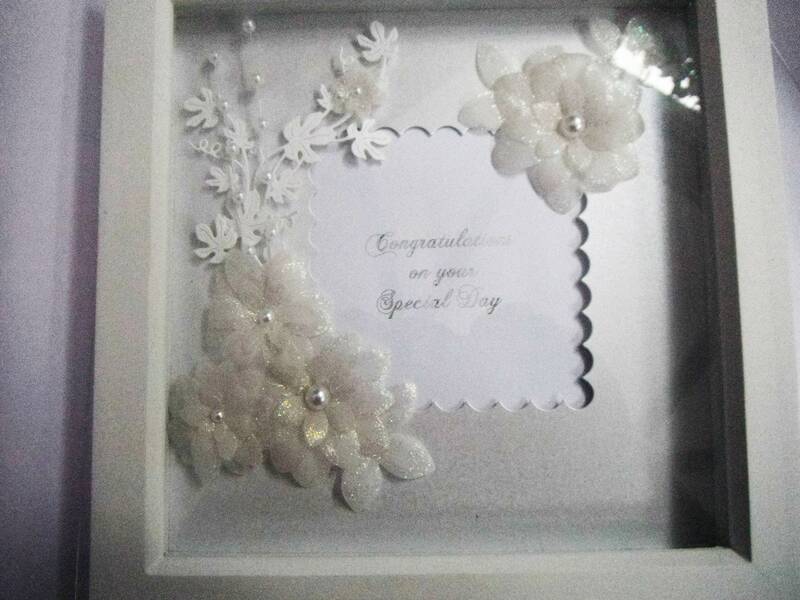 A Wedding floral display in a shadow box frame. 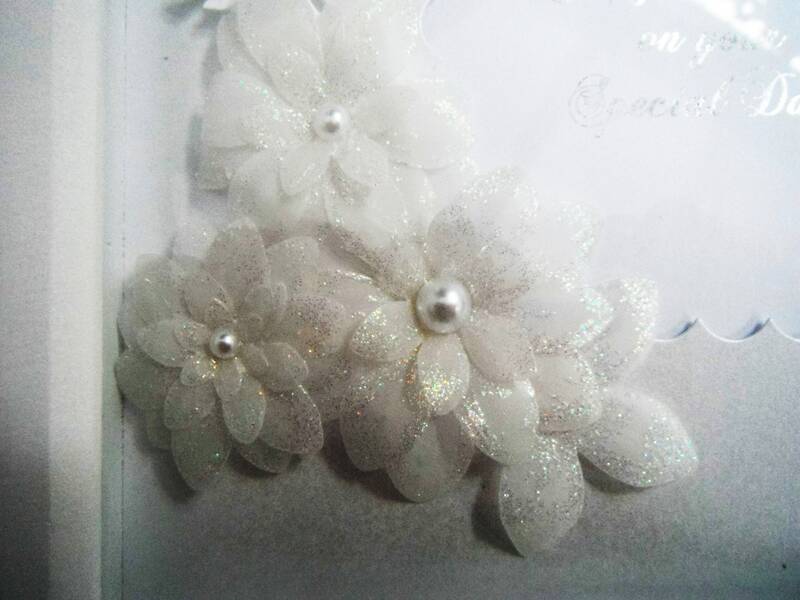 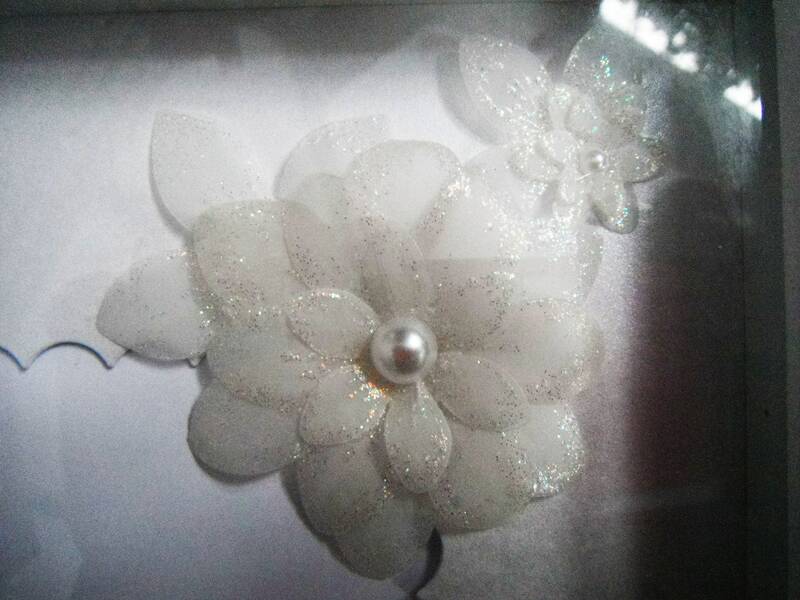 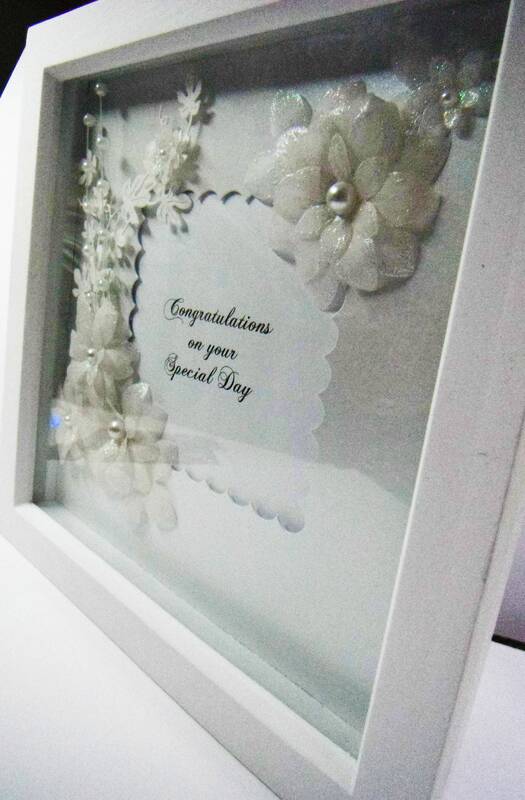 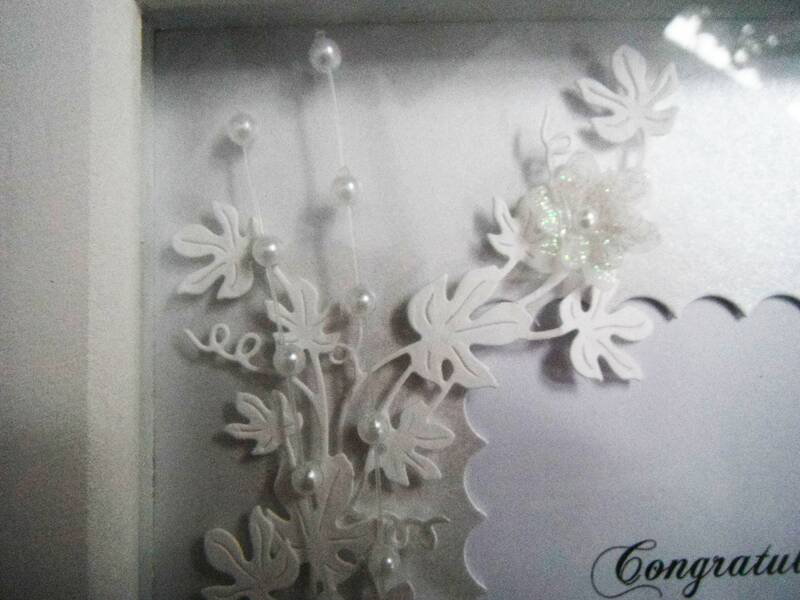 A white wooden frame, with die cut vellum flowers embossed with glitter, with white die cut foliage and pearl embellishments. 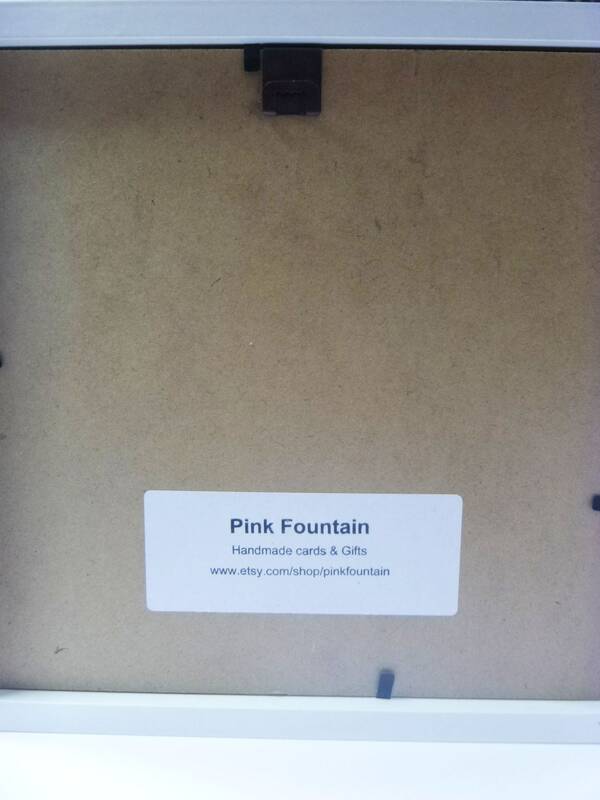 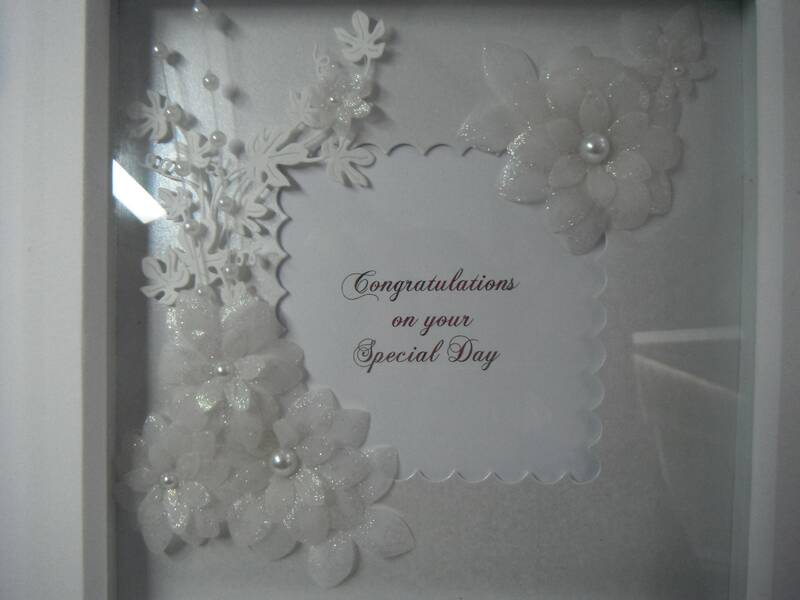 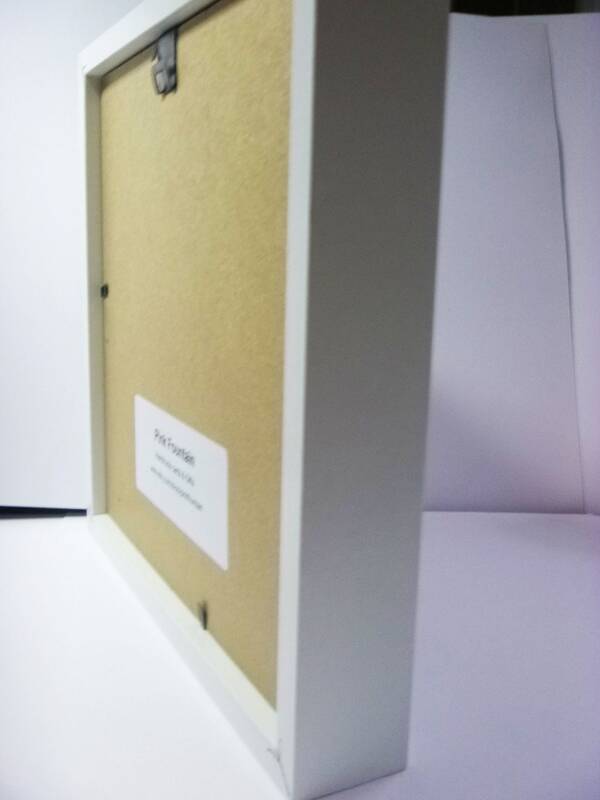 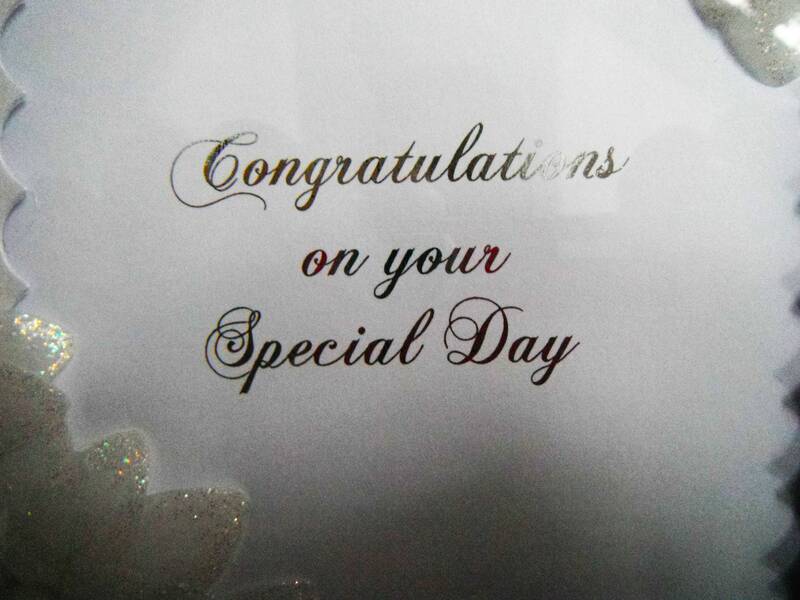 In the centre is laser printing which has been silver foiled, with the words, ' Congratulations On Your Special Day'. 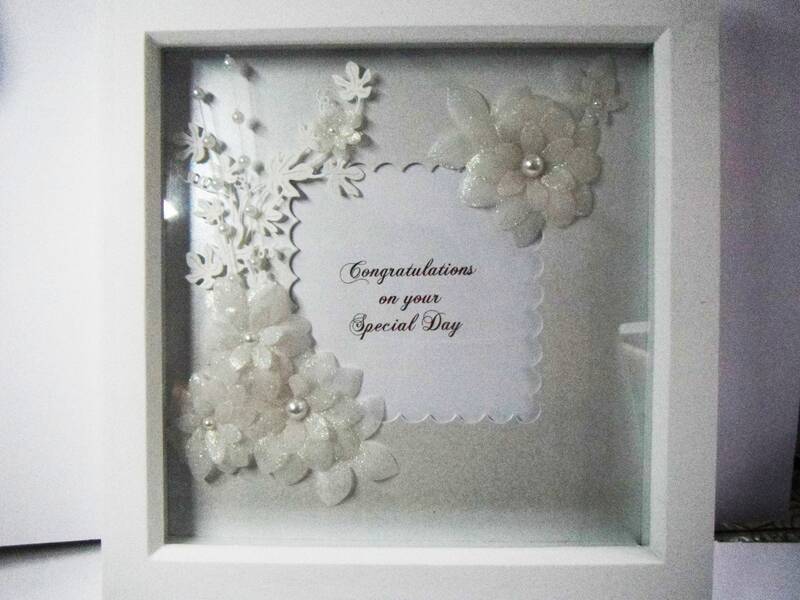 The frame measures 9 inch x 8 inch, 23 cm x 23 cm.